I have yet to meet someone that doesn't like some variation of the glorious Doughnut. But the conventional doughnut is fried in oil and either rolled in shiny sugar or dipped in a neon glaze. 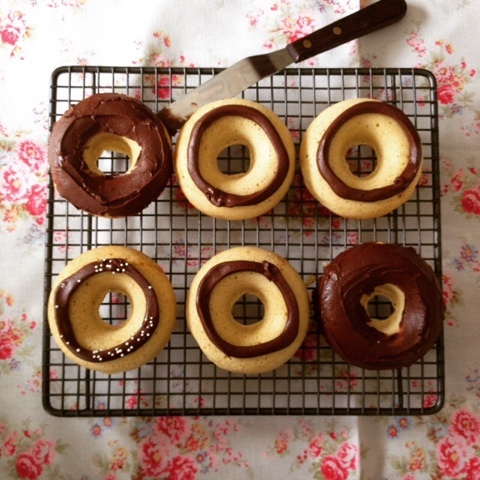 So for today's request from lottie I decided to bake her doughnuts and accompany them with a dark chocolate sauce. This recipe is a one pot wonder all you need to do is add all the ingrediants into a big bowl and mix frantically until the batter is smooth and lump free. 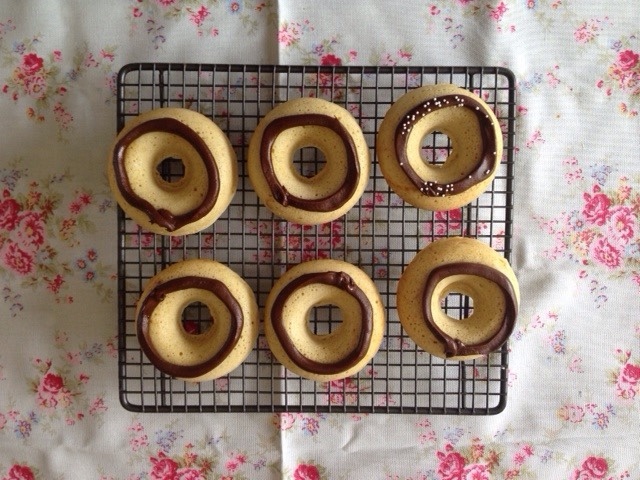 Pour the batter into a pipping bag and slowly but surely squeeze it into the doughnut pan, this recipe makes 6 doughnuts which is perfect as most doughnut pans have 6 doughnuts spaces. 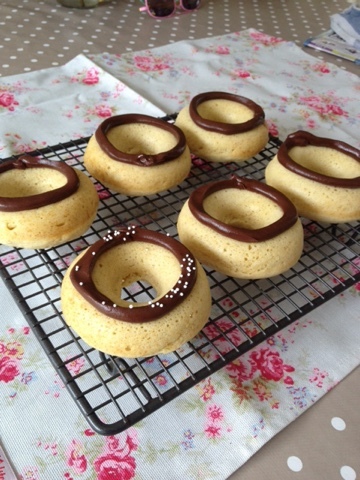 While your doughnuts are baking away prepare a Bain Marie then add the chocolate and butter stirring occasionally until it has melted fully. I also poured this oozy combination into a piping bag. When the buzzer goes on your oven take out the doughnuts and put on the cooling rack. When cooled snip the tip of your piping bag and decorate how you please.